This skirt made me double look a manikin, so I knew I must own it. 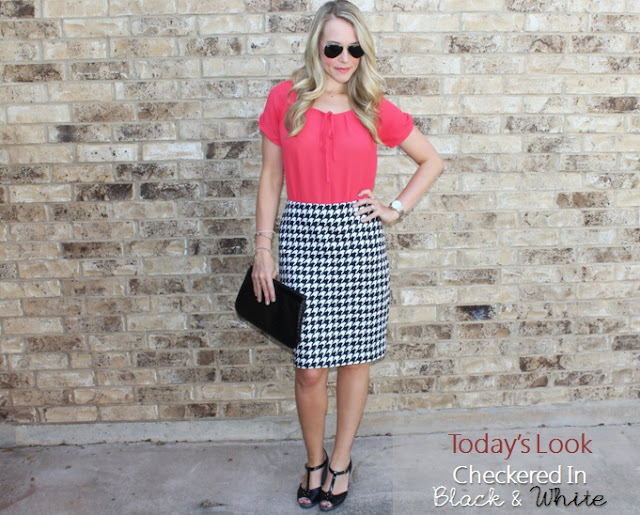 I love the pairing of a classic black and white with a modern checkered pattern. The simple cut of the skirt and a solid top create a nice balance with the fun oreo contrast. I.Just.Love.It. What are some of your new favorite black and white pieces? Linking up with these wonderfully dressed ladies today: Style Elixir, Real Girl Style, Plane Pretty, Trend Spin, Kiwi Womens Style, The Pleated Poppy, and Transatlantic Blonde. I just wanted to let you know your feature will be up at 7:00am this morning. Congrats! Laura, thank you so much! I'm so exited and very honored to be apart of your space! Hope you have a great day! Such a gorgeous houndstooth print skirt - classic, but you've made it fun with the top & accessories. You look amazing!! I love this beautiful classic look and that skirt is amazing! You gotta love this skirt. You look great in the outfit! 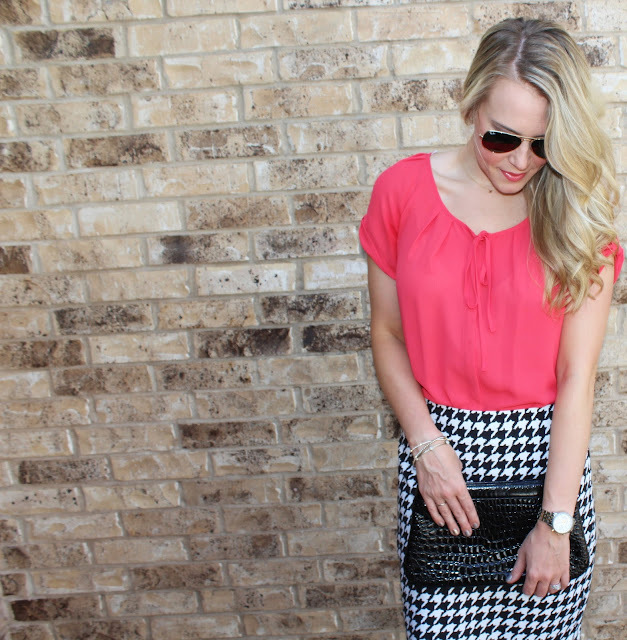 i love the skirt paired with that bright shirt...what a fun look! So cute! That skirt would make me to a double take too. Love it! Definitely copying this look soon! I love it. I am a big fan of this pattern! There is something so chic and vogue about it :) Love that you added a fun vibe to it with the choice of color in your top. Always look gorgeous, Ashton!! Love the skirt!! Perfect as we transition into Fall! Also ps congrats on being our look of the week for Metallic last week! !